Lonely Planet ***Honolulu, Waikiki & Oahu***is your passport to the most relevant, up-to-date advice on what to see and skip, and what hidden discoveries await you. Catch the sunset at Waikiki Beach, snorkel the turquoise waters of Hanauma Bay, or browse the Bishop Museum's Hawaiian artefacts; all with your trusted travel companion. Get to the heart of destination and begin your journey now! 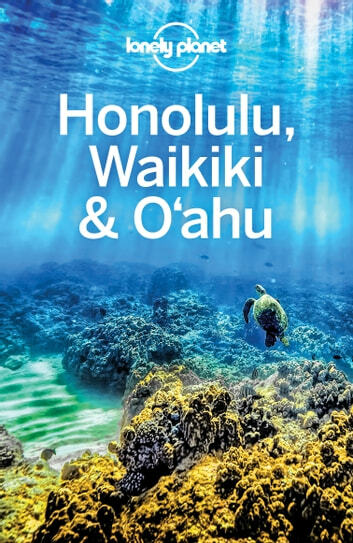 The Perfect Choice: Lonely Planet Honolulu, Waikiki & Oahu, our most comprehensive guide to Oahu, is perfect for both exploring top sights and taking roads less traveled. Looking for a guide focused on Hawaii or Honolulu? Check out ***Lonely Planet***Discover Hawaii, a photo-rich guide to the state's most popular attractions; or Pocket Honolulu, a handy-sized guide focused on the can't-miss sights for a quick trip.